Select ½ lb or more whey or ricotta as needed. Put it on bed of esparto grass and cover. Strain it to insure that as much liquid as possible is released. 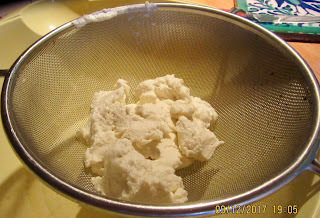 Remove the whey from the bed and rub it by hand over a horsehair strainer with a dish to catch the drippings underneath. Put the ricotta cheese in a dry new earthern ware pot that has not been moistened with water and mix it with salt. Set aside until ready to use. When ready to eat put it in a bowl and extend it over the surface with a spoon. 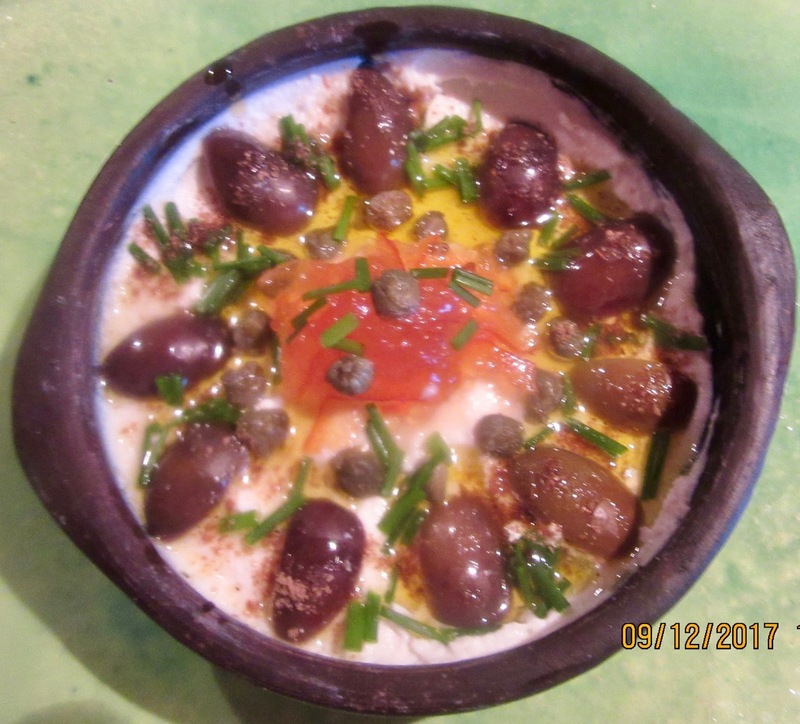 Pick up small portions of the cheese and place them along the borders of the bowl. Garnish the borders with olive oil and capers and in the center place lime preserves and decorate with a little black caraway. Sprinkle with olive oil and chives. This recipe cannot be saved. It is most delicate and must be consumed immediately but it is a must as an extrememly simple and tasty appetizer served on slices of bread or crackers. As lime preserve was not available, orange marmalade was used. Nowadays it just mashed in a strainer if there is any liquid. Salt was not added as comercial ricota today has plenty.